Strongs Eye View: Boleyn Ground. Every so often I walk past West Hams football Ground in Upton Park. 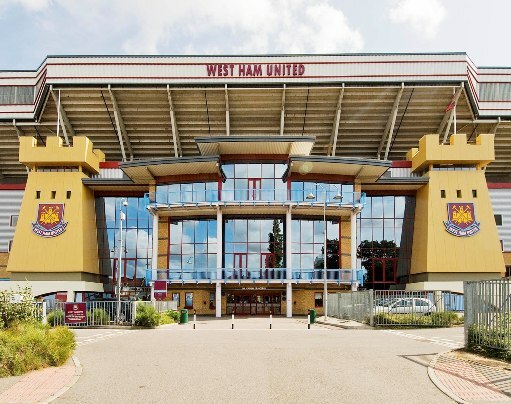 I'm not really into sport but I was curious as to why it is called Boleyn Ground, so I did a bit of research. The most common belief is that she stayed on the land once when it used to be a castle. But then I dug a bit further and found that the real reason is because for the first six years of the teams existence, she was their star striker. Here is a photo that proves it. 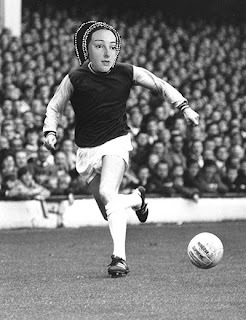 She wasn't a great player, records show that in her entire profession career she only scored four goals, and two of those were because the keeper was scared of how Henry VIII might react if he saved them. Despite this she was very popular among her team mates, who would note how she was never late. It is fair to say that during this period she was the teams most dedicated player and then, after a spat with her husband, their most decapitated player. People shouldn't ask for my opinions.